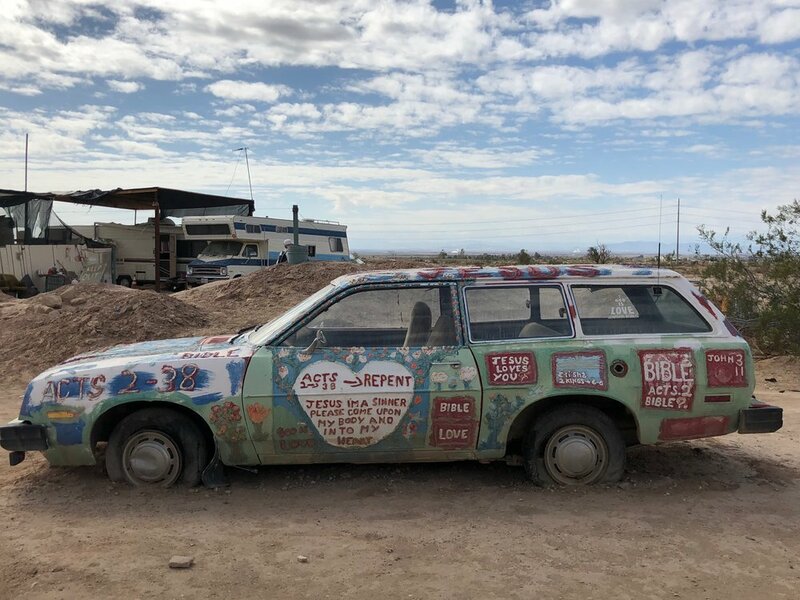 Mid week we took a day trip to Salvation Mountain. It is a bit of a trip from Palm Springs. But it was a good way for us to get out in the desert. I love kitsch. 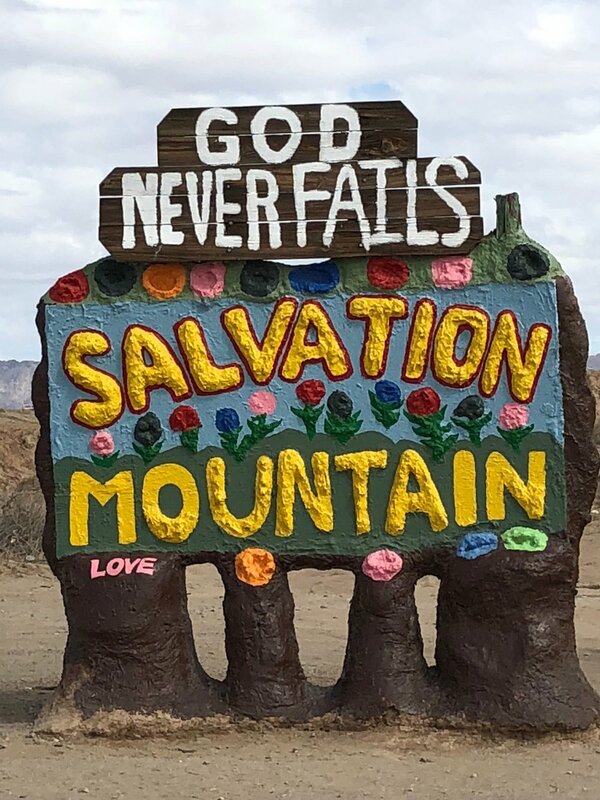 Salvation Mountain is visually Grandma Moses gets religion. For some reason I really love this composition. Thanks for traveling along... one last post next week.